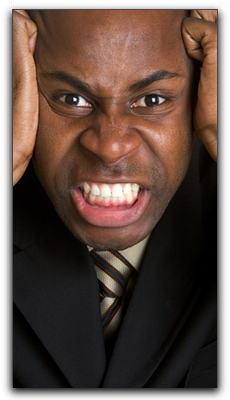 Everyday troubles cause some people to respond by clenching their jaw or grinding their teeth. Daily commuting, work problems, or an overpacked schedule are some frequent culprits. Teeth grinding and jaw clenching can trigger or aggravate a painful condition called TMD, or “Temporomandibular Joint Disorder.” TMD is often mistakenly called “TMJ,” the acronym for temporomandibular joint. Your jaw is able to open and close thanks to many muscles and joints to help you chew, speak, and yawn. Damage to these essential joints can lead to severe pain in the jaw, head, face and neck. Pain may be experienced on one or both sides. TMD is an often misdiagnosed condition because facial pain can result from a variety of issues, not just damage to the temporomandibular joints. Sinus infections, tooth decay, and facial inuries can cause jaw pain. A correct diagnosis is the first step in treating TMD. At Advanced Cosmetic & Laser Dentistry we have been diagnosing and treating TMD since 1997, working with other specialists when necessary. If you are experiencing clicking, popping, or discomfort in your jaw, call us today for a diagnosis and treatment plan. Use the form below to ask a question about Treatment For Stress-Induced Jaw Pain and one of our expert team members will get back to you shortly.